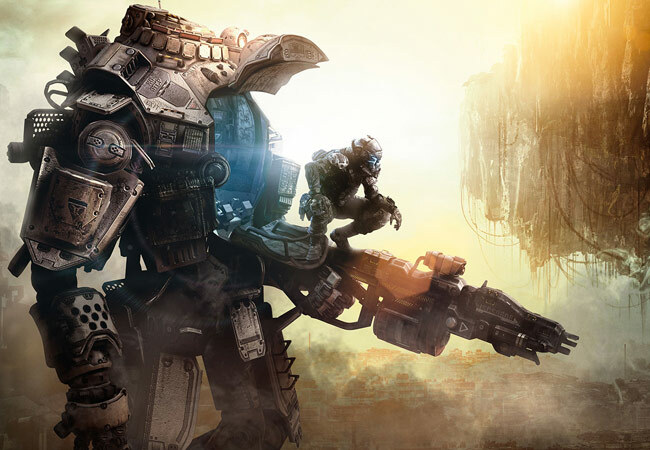 Gamers looking forward to the launch of the new Titanfall first-person shooter from the creators of the Call of Duty series are sure to enjoy these new details released by the development crew of the game. Together with the TitanFall gameplay demo that was recently shown at the E3 games conference in Los Angeles earlier this month, showing you a glimpse of what you can expect from the new game once it officially launches in the springtime next year. “Titanfall’s initially confusing fusion of single-player and multiplayer rekindles memories of Sega’s Vanquish and, going back further, the best of the Star Wars: Battlefront series. But I can’t deny Respawn its claim of innovation. You get a story cutscene as your dropship approaches the battlefield, and, during a match, “heroes”, as Emslie describes them, pop up in windows in the upper corner of the HUD to bark orders and set objectives – an attempt to give the competitive carnage some fantastical meaning. You can follow this story through an entire campaign and play it from both sides. For more information on the new Titanfall game jump over to the Eurogamer website for details.